Normally when I write a music post, I tend to make it a playlist. They contain songs with some sort of coherent link that makes the playlist great to listen to and they are some of my favourite posts to put together. 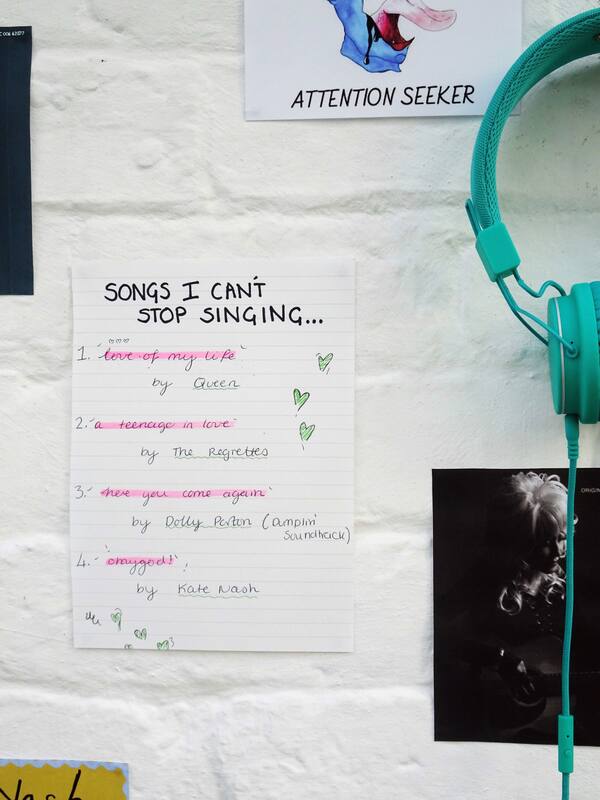 However, there are some songs that just don’t fit into any of my playlists – I’d have to have a playlist called “Songs That Holly Plays on REPEAT, Much to The Annoyance of Everyone Around Her”. And, for some reason, I didn’t think that was a very catchy title so, instead of creating the world’s most random playlist, I figured I would take it back down to basics today and simply share some of the songs that I CANNOT stop singing – god they’re great. Let’s take it from the top and try to talk about the marvel that is the song ‘Love of My Life’ by Queen. I have always been a fan of Queen, after being introduced to them at a young age by my parents, but it was only after seeing ‘Bohemian Rhapsody’ in the cinema (twice, sorry not sorry) recently that I realised what a truly special band they were. I know that ‘Love of My Life’ probably isn’t considered to be one of their greatest hits and in truth I think that it is one of their most under rated songs. I mean it never fails to give me goosebumps. My favourite part is the introduction, as soon as I heard that gentle piano I knew I was going to love it. Now, onto something a bit more up-tempo and almost entirely different – ‘A Teenager in Love’ by The Regrettes. In my eyes this is the perfect teen anthem and if I had known about it back when I wrote it, I would definitely have included it in my Teen Rom-Com Playlist. One of my favourite things about this song is its vintage feel, and that is also one of my favourite things about The Regrettes. It was only the other day that my Dad revealed to me that ‘Teenager in Love‘ is actually a much older song that The Regrettes have simply reinvented – although the rest of their music is thoroughly their own and still has a retro vibe. Hence why this tune has such a ‘time gone by feel’, it is from a time gone by – from 1959 to be exact, created by a band called ‘Dion & The Belmonts‘. Love it! Alongside being obsessed with the ‘Bohemian Rhapsody’ film, there has been another film that has stuck in my mind recently – and that is ‘Dumplin’‘. A film set in Texas about a Dolly Parton loving teen and her journey through grief, friendship and well, pageants. It is one of the most loving films I have seen in a long time and the soundtrack, which features this song, is stunning. One of my friends is a huge fan of Dolly and it is only since watching this film that I have truly understood why, needless to say we now fangirl together. Despite ‘Here You Come Again‘ being my absolute favourite song on this album, I would also highly recommend listening to the whole thing – my other loves are ‘Dumb Blonde‘, ‘Two Doors Down‘ and ‘Better Get To Livin’‘. If you need me within the next month, I will be found blasting these songs out & having a good dance in my kitchen. Lastly I want to talk about my renewed love for Kate Nash & her awesome records. I always loved her classic song ‘Foundations‘, but never really ventured further – that was until recently and what a revelation it was. I fell in love with some of her newer music and I absolutely love the individual style of ‘OMYGOD!‘, with its unexpected tempo changes & retro vibes, I was always going to like it. If you are a fan of ‘Foundations‘ I think you should dig a little deeper into the Kate Nash World, you will be surprised at what you find. If you like OMYGOD, I’d also recommend ‘Paris‘ as a great one to give a listen. Are there any songs that you can’t get out of your head?